Julian Assange hit back at The Intercept over a February 14 article claiming he backed Donald Trump's presidential campaign in leaked group chats from a disgruntled former WikiLeaks associate who set up the chat room. [I]n the fall of 2015, Trump was polling at less than 30 percent among Republican voters, neck-and-neck with neurosurgeon Ben Carson, and Assange spoke freely about why WikiLeaks wanted Clinton and the Democrats to lose the election. In a series of rebuttals over Twitter, Assange notes that The Intercept's Micah Lee failed to do basic fact checking, such as noting that the WikiLeaks account has a rotating staff (i.e. anyone could have written the controversial messages), and used "messages from late Oct 2016 when I infamously had no internet access." Assange also notes Lee's long-standing grudge against the WikiLeaks co-founder, which he called "obsessive" and "obscenity laden." - the editorial propriety of letting Micah F Lee, of all people, instrumentalize the Intercept to further his obsessive, obscenity laden campaign against WikiLeaks must be questioned. Lee was formally behind cutting off WikiLeaks' US tax deductible donations. - after I wrote to the FPF board last year on that serious subject, Lee has become hysterical. The conflict of interest is obvious. Such a story should have been given to someone else. By failing to do so the story's credibility has been marred. 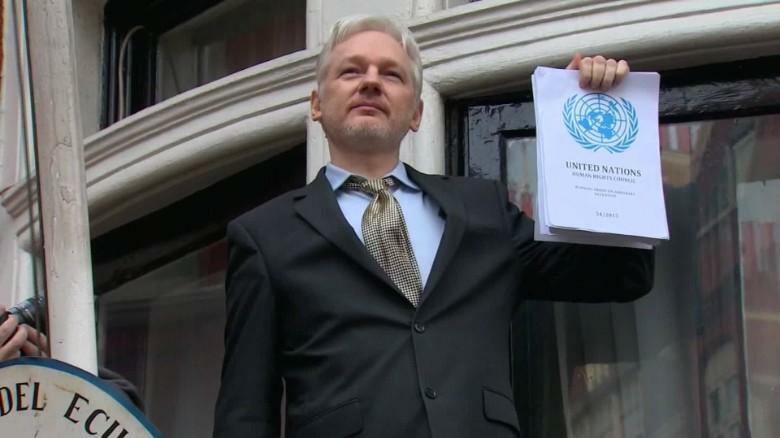 Assange, who remains confined in the Ecuadorian embassy in London following a failed appeal of his arrest warrant also notes that WikiLeaks cannot confirm the Twitter support group messages, and that there are "dozens of such groups, full of people's freewheeling banter and quips, but even the funniest do not represent editorial policy." Assange's defenders, such as journalist Caitlin Johnstone, and Disobedient Media's Elizabeth Vos have come out in force against The Intercept's "disingenuous and sloppy character assassination against the Wikileaks Editor-In-Chief." The Ecuadorian embassy in London cut off Julian Assange’s internet access in October of 2016, but the WikiLeaks Twitter account kept posting about leak drops uninterrupted. The embassy’s action made headlines all across mainstream media. It is common knowledge for anyone who was paying attention to WikiLeaks during that time. The Intercept‘s editors are unquestionably aware of this. So, whether The Intercept is now simply another establishment tool masquerading as a legitimate news outlet, or its editors simply let one of its journalists publish a terribly inaccurate hit piece curiously timed to coincide with Assange's UK court action, Julian Assange's defenders are out in force to set the record straight.